> i do know that is a great deal,..
You can NEVER have TOO MUCH ! ! ! Just don't push it to its limits, . . . until you have learned the car, that is. De-tune it a bit while you are learning its capabilities and gaining skill. we have only one Racetrack in the near, which is in good shape and in my near, to go for a Day and back home,..
Is the Rick Norris blue Corvair with Sunoco graphics still being raced in England? I Dont know it The only thing i know is that s Sold to England. One of the things that you need to know and maybe tell us is the rules that you race by where you want to race. You might even ask the race organizers what they will allow. That way you know what you are looking for and maybe you will only need minor changes. As race cars go Jim's car is SCCA legal for EP and you can easily look up those rules so you can compare to what your rules are there. GCR stands for General Competition Rules. YeS Thank you i know,.. I have reading all these things,..
What i mean is I dont want to Race series. The Problem is thats here no cool Scene like yours about the Corvair stuff,.. I have only one Track hhere wich is a bit cooler used for some Supermoto and ADAC Drivtrainings and so ,.. FACT is that i need a Streetlegal Car to go on my Favorit Track,.. I have the FIA Paperwork from a Corvair Germanbuild Racecar from Derichs Rennwagen, who Raced Mustangs for about 20 Years and build himself a Race Corvair,. with a Selfmade 140RM based Turboo enine which now Runns in France. the new Owner now wants 40.000 he runs it Street legal in France.. Still looking Forward to get some Offers..
Maybe i can Discribe it a bit,..
What iam searching for is listed in the Yenko Bruchures Prices and Options for a Stinger,. Stage II Stage III is enough of what i want,. I mean there a some things they where Overhauled by the Time but,. Hd Valve springs and Retainers. HD Suspebnsion with Koni shocks,. some of the Parts i have already here,..
and i build my corsa to an Street legal car with Performance updates,..
iam Honord to get contact with some great enthusiasts and looking forward to find what i want.. Send me $70,000 and you can buy my Yenko Stinger Vintage legal racecar with all the attributes you mentioned. and use the time to Visit a friend In MD. Which one do You own.? Yes i know they have a good price Niveau,but i think that will be more Next Years..
Its not my Goal to have a Stinger, at the Moment..
just the configuration is Beautiful. have an offer for a Stinger wich will Rebuild at old specs,. I think the trouble - you have a pretty narrow search window. 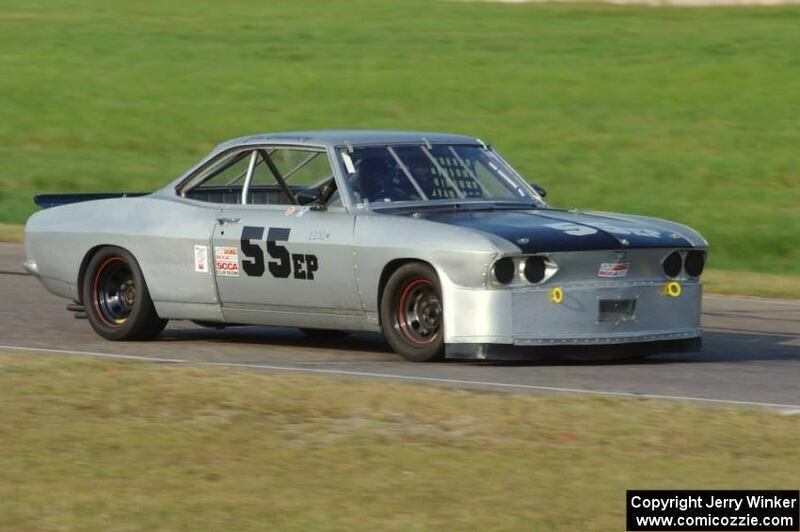 Looking for a Corvair race car - there just aren't a ton of them around, let alone around, and for sale. You may be better off buying a cheap car and converting it yourself. I already have 3 Corvairs.. Anything more for Sale Out there? HY Everybody is there some Race Car for sale??? A very big thanks you to all wich had Offerred a car to me..
Should of bought a Stinger before the Mecum Auction. I’m sure everyone without one will argue me, but they just doubled in price.